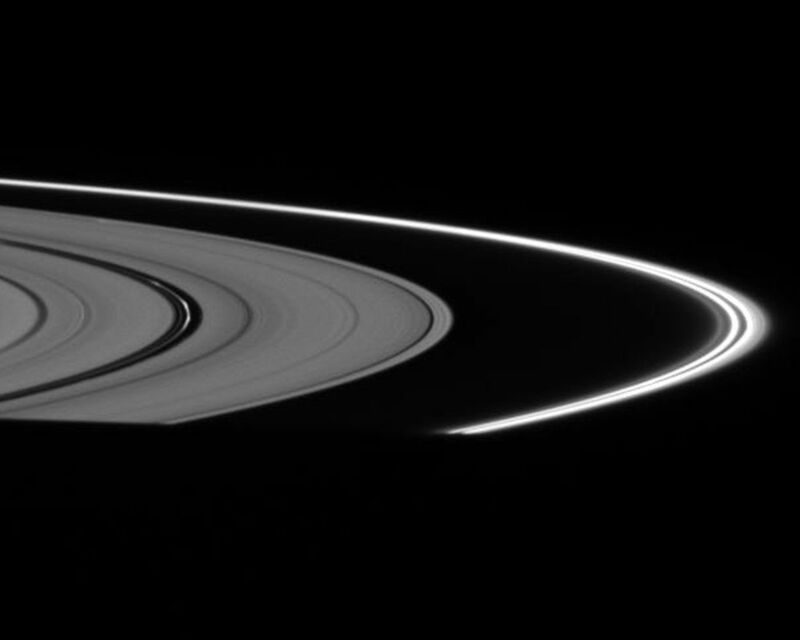 The fine, dust-sized particles of ice in the F ring and Encke Gap ringlets appear relatively bright, with the rings positioned almost directly between the Cassini spacecraft and the Sun. 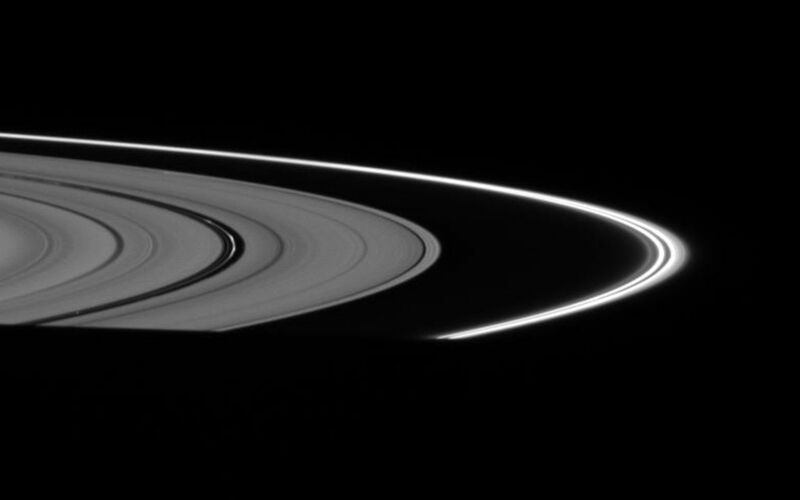 This view looks toward the unilluminated side of the rings from about 2 degrees above the ringplane. 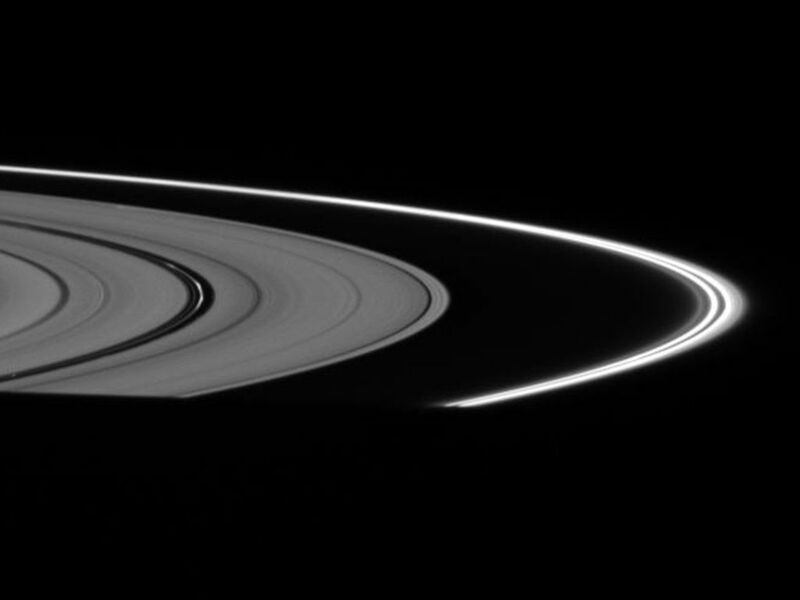 At bottom, the planet's shadow casts the rings into darkness. The image was taken in visible light with the Cassini spacecraft wide-angle camera on Oct. 24, 2007. 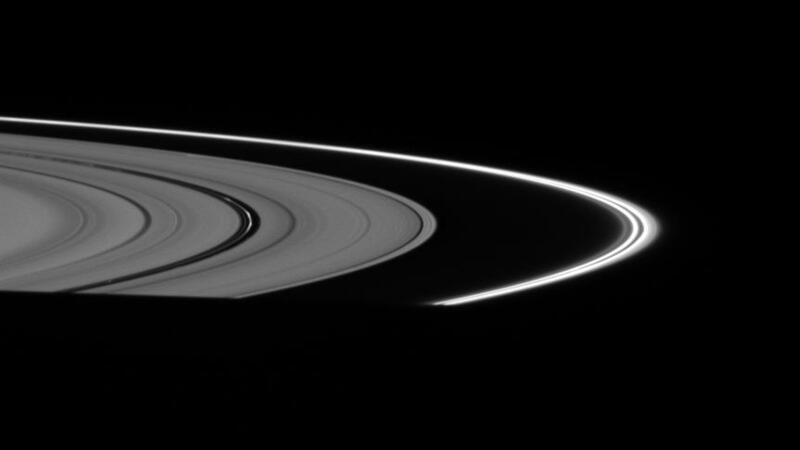 The view was obtained at a distance of approximately 298,000 kilometers (185,000 miles) from Saturn and at a Sun-Saturn-spacecraft, or phase, angle of 152 degrees. Image scale is 14 kilometers (9 miles) per pixel.